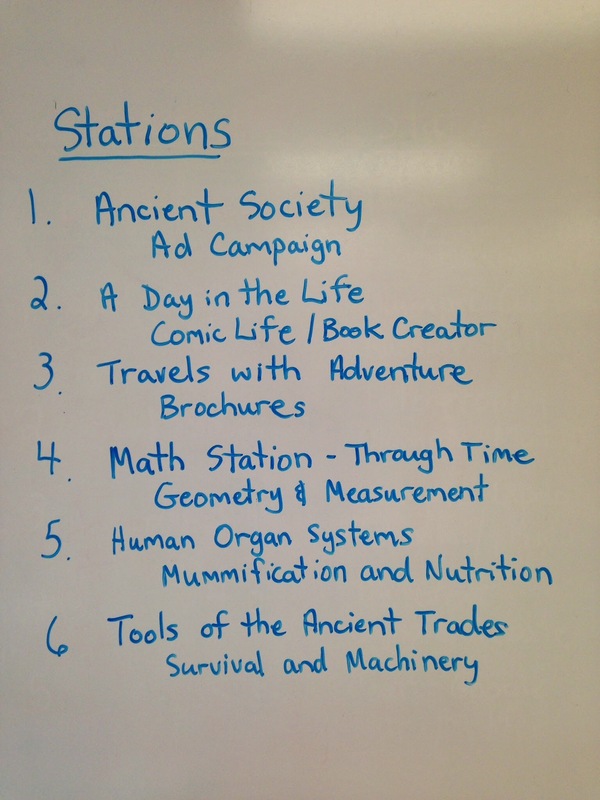 Our grade 4/5 students are exploring Ancient Civilizations! To get started, we spent time building background knowledge. This of course, develops interest and curiosity for our topic. Pete modelled a lesson, teaching them how to skim for information. The students worked in groups, we provided reading material, gave them post-it notes to jot info, then gave them a chart paper to post their findings and their questions. Following this step, students shared their findings and questions with the class. We took note of questions and corrected misconceptions. The charts were filled with student questions, this provided us with ideas to develop work stations for our unit. We were surprised to discover that many of the students wanted to know about food! How convenient! Just about to start this unit myself. I will follow your progress closely!